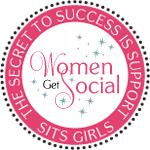 This has been such a BUSY month for me and I have been behind on the blog just a little bit! I am just now getting around to posting about my weekend at the fit expo! 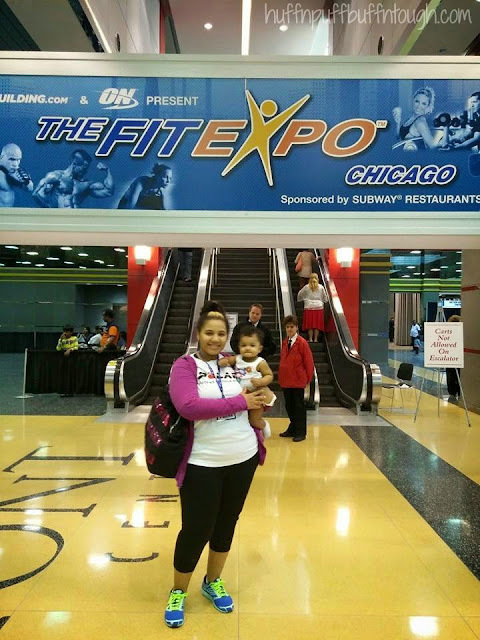 The weekend of May 2nd and 3rd, I was given the opportunity to cover TheFitExpo Chicago event at the Donald E. Stephens Convention Center. It was such an amazing experience! TheFitExpo made it's debut in Chicago this year and it was a good one!! I had a ton of anxiety during the week leading up to the event. 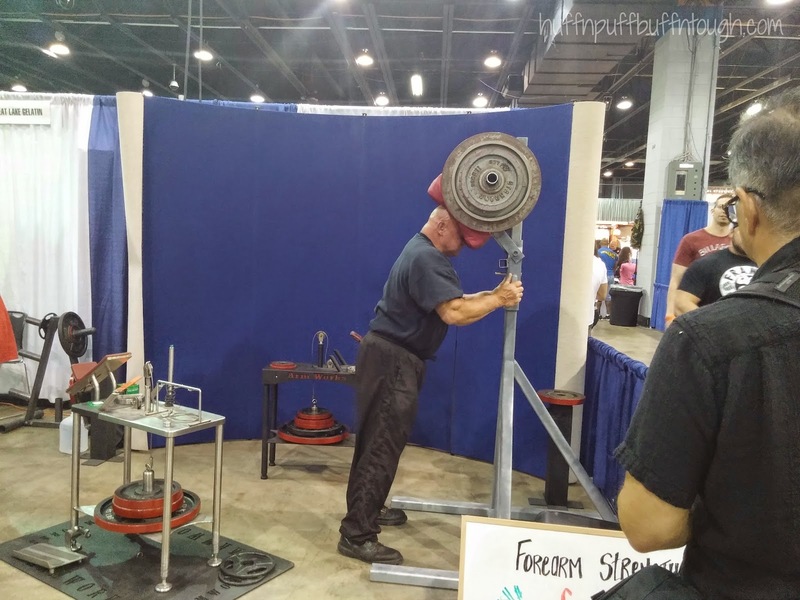 I have never attended a fitness expo before, so I had no idea what to expect. 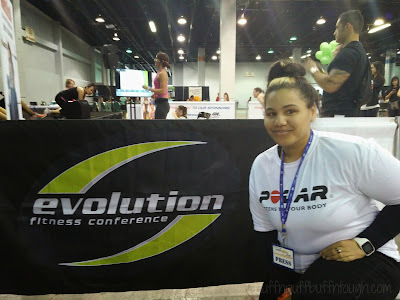 I had plans to participate in the Evolution Fitness Conference, but kept having second thoughts because of my anxiety. I arrived at the fit expo a little before noon. I stopped to get my press badge and my hubby's ticket, but little did I know that one guest ticket came with my press badge, which I was very grateful for! Sending a shout out to Bethany and Monica! Thank you! I made it a priority to get to the popular booths first because there was no shortening of the lines anytime soon and that way I had the rest of time to interact with the smaller booths. The Optimum Nutrition booth was the most popular. They were giving out free bodybuilding.com - 2015 Fit Expo t-shirts, which are absolutely awesome by the way! 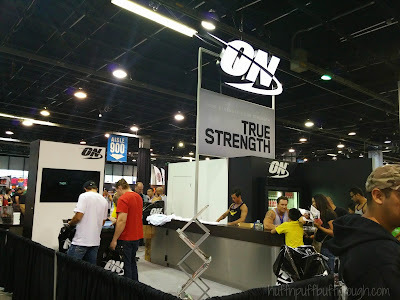 They were also giving out leftover t-shirts from the Arnold Sports Festival that was held in March in Columbus, Ohio. I will hopefully be making it out to AFS next year. Meeting one of the ON athletes. Miss Maria DiNello (National Level NPC Bikini Competitor), along with a few others, has inspired me to eventually compete in my first local NPC Competition later in my fitness journey when I have finished my weight loss transformation. And I can't believe I just told you all that! I had no plans to tell anybody until later on this year when I will hopefully be at a 100 lbs loss. I did the POUND Rockout Workout at the Evolution Fitness Conference, which was held inside the expo. I was not sure if I was going to do the workout and I knew I would end up deciding last minute. That is exactly what happened! I made the decision last minute to just push myself to get out there and do it. One thing I hate about having anxiety is the fact that I have to push myself so hard to do certain things and I just want to be able to get out there and do it without giving it a ton of thought and getting to know my surroundings first to become a little more comfortable to be able to do things. Before doing the pound workout, I sat in the seating area to feed the little one while another class was going on. It was a fun environment. There were other moms with kids in the seating area and we were all dancing and having a good time. We worked out with Amanda who was the instructor for POUND. This is such an AMAZING workout!! I love that we get to pound the sticks as if we were drummers. I felt so awesome doing this workout!! 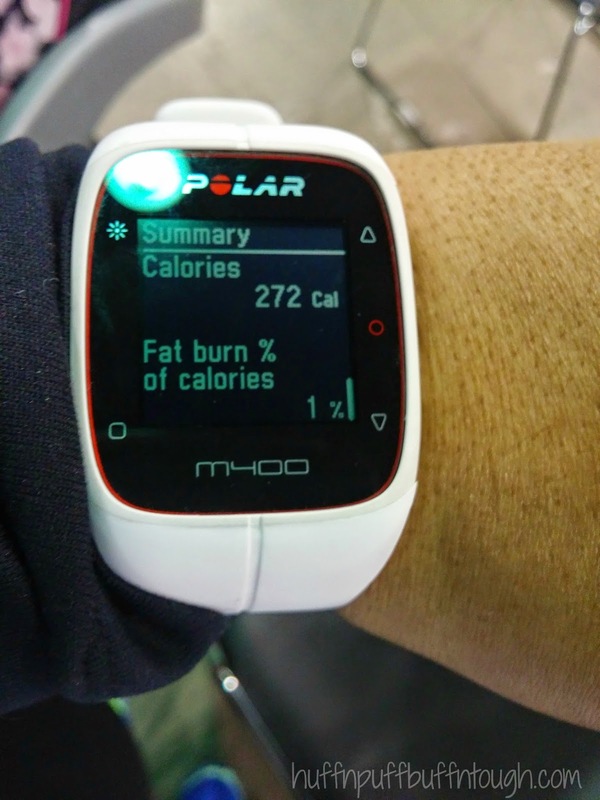 I burned 272 calories during the 20 minute session. It is DEFINATELY a TOTAL BODY workout! For the next few days I had very sore muscles. Every major muscle group was sore. Muscles that rarely ever get sore were sore! My glute muscles never ever get sore and I am not sure why because they get a lot of attention, but after this workout... they were so sore!! Felt pretty nice to finally feel sore glutes! I guess I have strong glute muscles. Check out some clips from the POUND class below! I am in the white shirt with blue shoes. I was too tired to do any other classes and my darling daughter wanted her mommy, so she wasn't having it, haha. 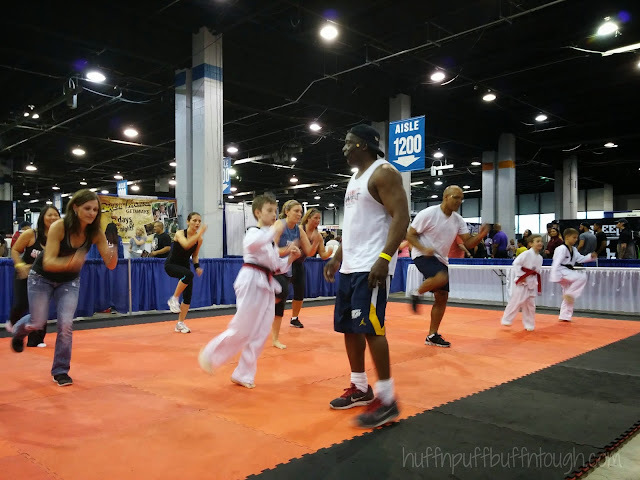 After the class we headed towards Billy Blanks where he was teaching a TaeBo class, which I would have taken if I wasn't so pooped from the last workout. 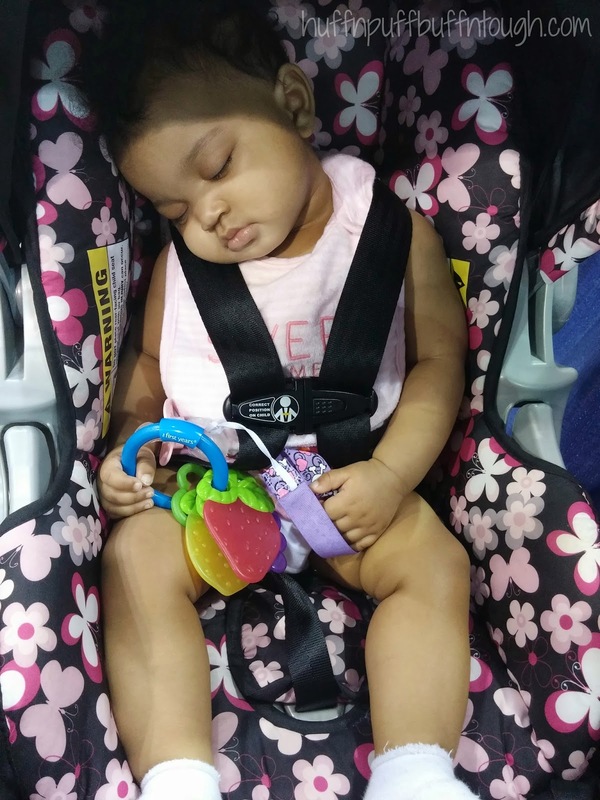 Baby girl finally fell asleep! 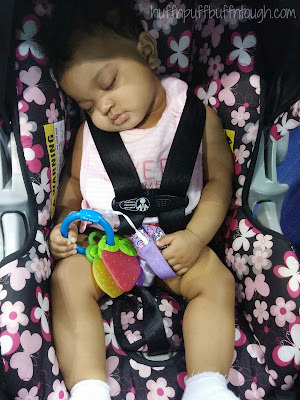 After Harlie Jade ate again and fell asleep I continued to hit up the rest of the booths before checking out the competitions that were going on. 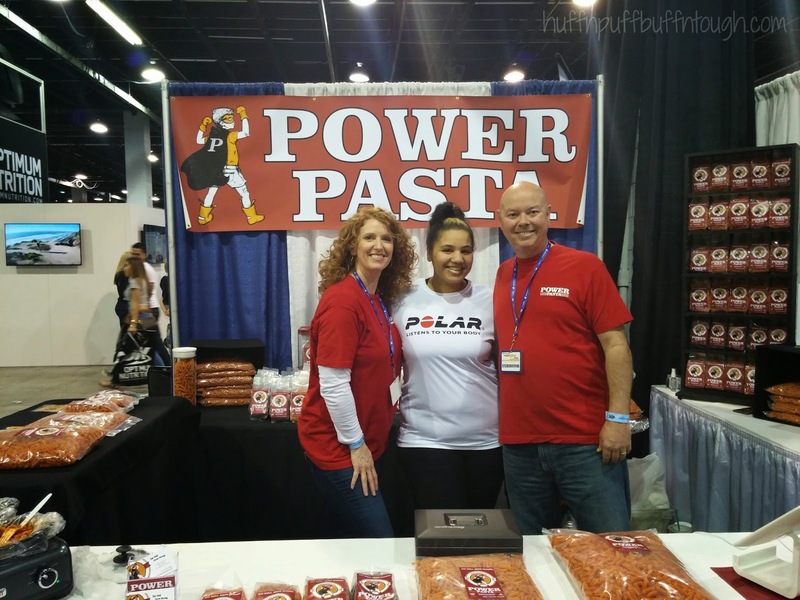 I stopped by the Power Pasta booth and chatted for a brief moment with the owner. She was so awesome and friendly. I bought two small bags of red lentil pasta. I love, love, love their pasta and it's packed with lots of protein and only 1g of fat!!! I may do a review later on. This dude is a beast!!! Stopped by the Helios booth to talk muscle and joint pain. I did buy a kit, which I will review for you all soon. 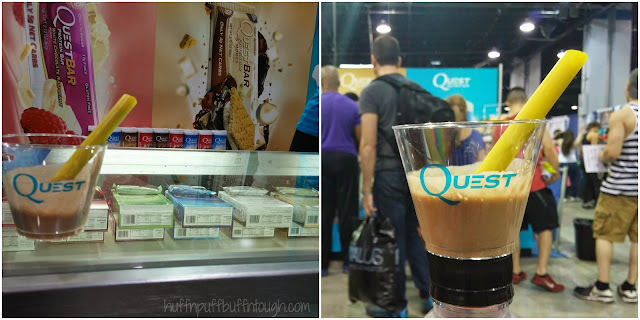 Stopped by the Quest Nutrition booth and snagged some quest bars and protein chips they were giving away and of course made a few purchases. 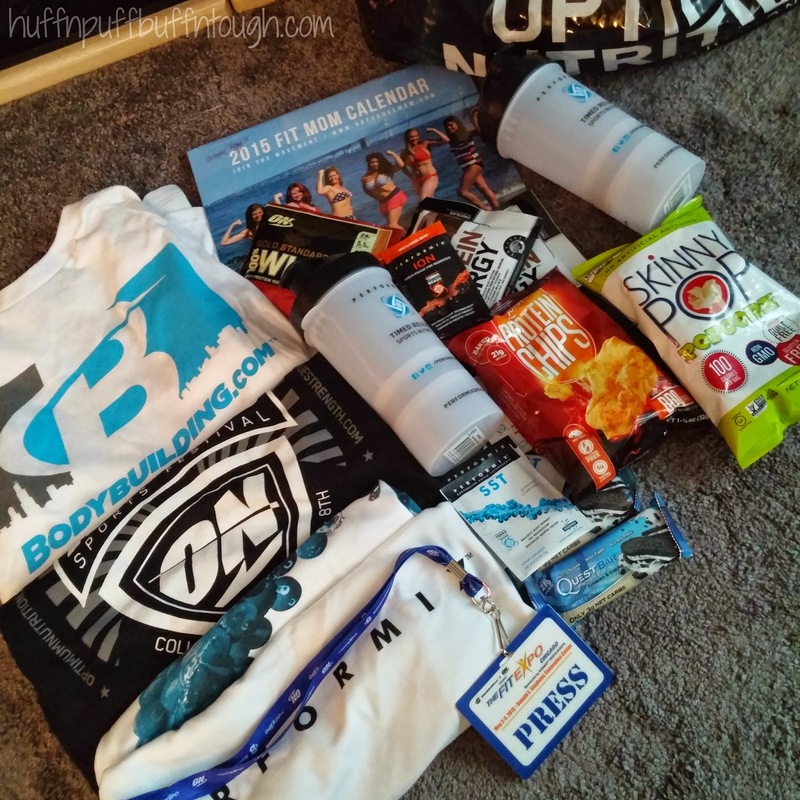 Some samples and goodies from the expo and there's more where that came from! I had plans to go back the next day for another round, but unfortunately I was too sore and I didn't want to drag my little one back to Chicago for a second day in a row. I had a great time! I had so much fun! I met a lot of hard working and amazing people and I learned so much and gained so much inspiration and motivation from everyone! I can't wait for next year!!! I KNOW that my body will be in much better shape. 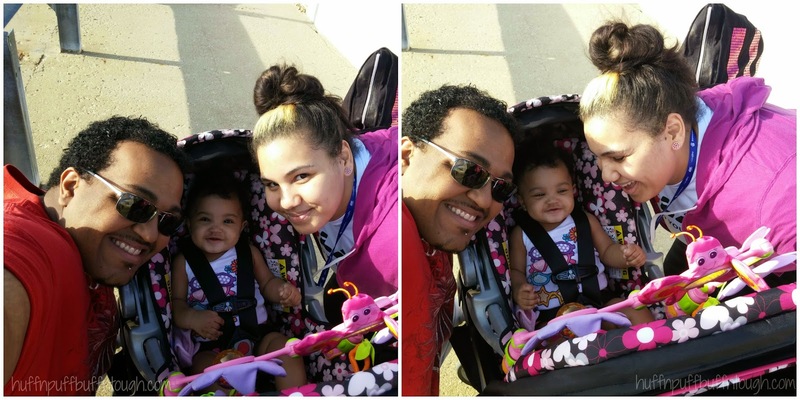 I am so glad that I got to share this experience with my little one. Even though she's too young to understand what's going on... I am still proud that I am able to say that I exposed my daughter to the fitness world/lifestyle at an early age and I will continue to do so. Until next time.... Can't wait to see where I'll be with my fitness around expo time next year!! 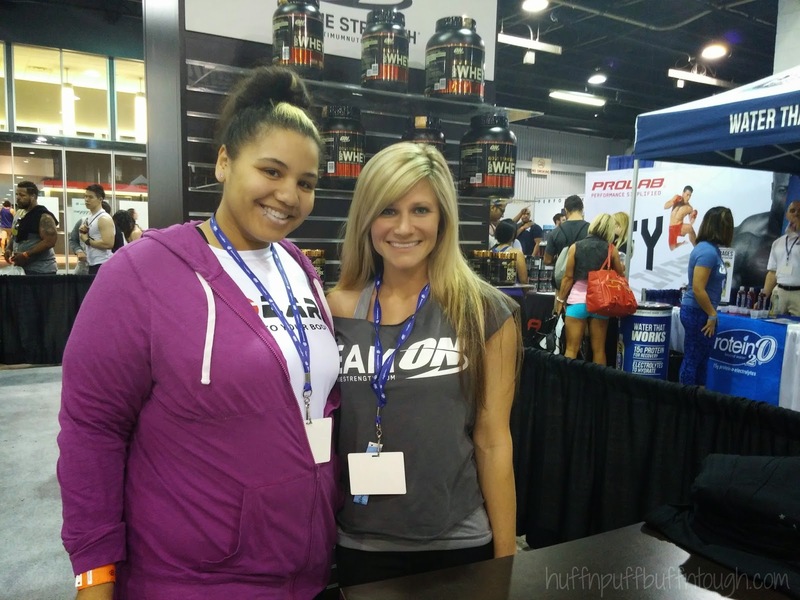 TheFitExpo will be in San Jose, CA June 13-14, 2015 and Anaheim, CA August 22-23, 2015. I encourage everyone to come and check out TheFitExpo if it's coming to an area near you later this year and next year! 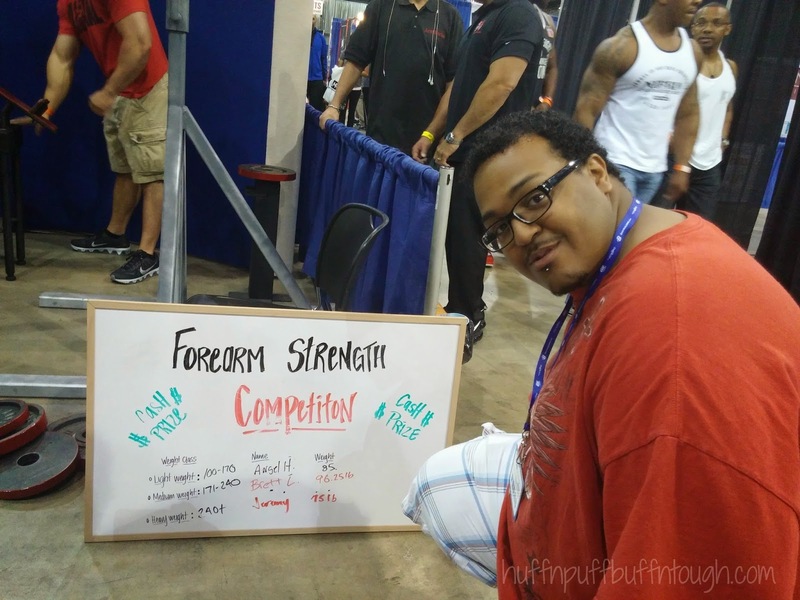 I haven't been to a fit expo either but I really want to! That and a blogging conference. There don't seem to be too many on the east coast though. Looks like a blast! I want to try that Pound workout! I had no idea this was so close to me! Looks like fun! Oooh! Pound is so fun! 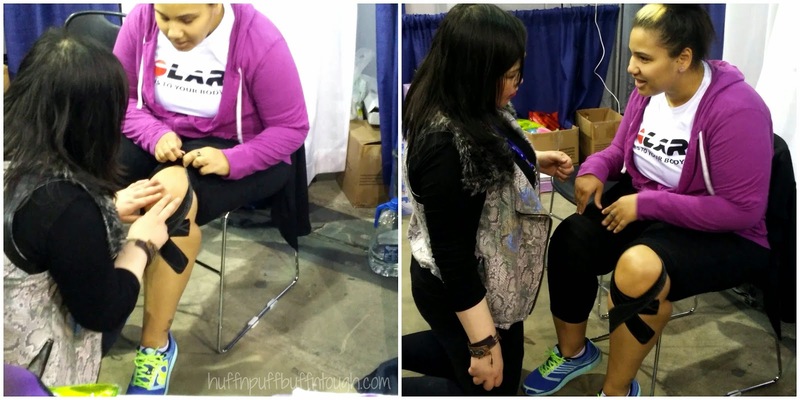 I got to try that at a blogging conference. It looks like you had a blast at the expo! 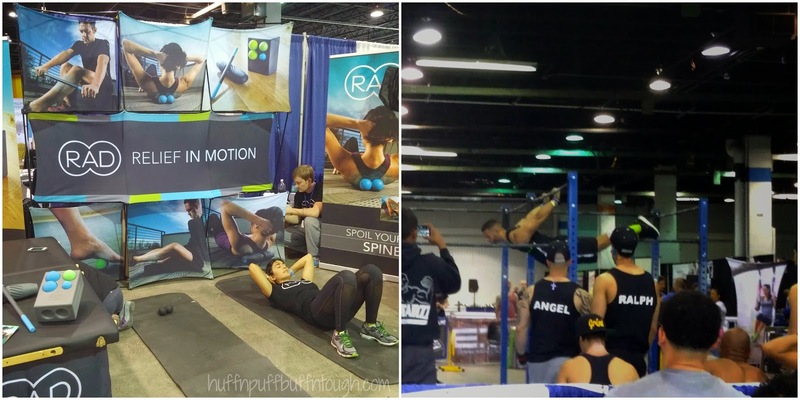 I've never been to a fit expo like that but it sounds amazing! Your daughter is sooooo sweet. Good for you for being active with your daughter still so little! Looks like you had a lot of fun! 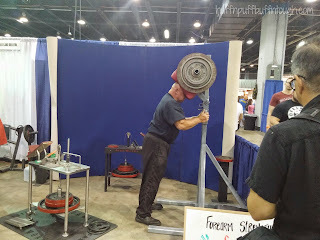 I don't think we have any fitness expos in my neck of the woods, but it seems like it was really a great day! Best of luck with your continuing journey! This sounds like a really fun event! I'm glad you had a great time. I hope to attend a Fit expo soon! That sounds like a great expo. I haven't been to one in so long, I need to find one in my area! Wow, I would love to go to that expo! Good for you for stepping out of your comfort zone,Mehta is the way to live! What fun! I love love Pound. They just added it to the class schedule at my yoga studio. What a fun experience! 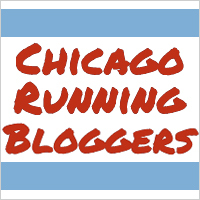 I wish I lived closer to Chicago and could have partaken in all of the fun! Wow what an awesome event this was. I need to check out my local venue to see if they have things like this for me. Good for you for pushing past your anxiety and going for it! I know the feeling well. Your daughter is precious!! That Pound class looks like a lot of fun and a great work-out! Using the sticks may look easy but I'm sure it was not!! I didn't even know there were such things as fitness expos but wow, this is awesome!! That POUND class looks SO cool! I'd love to do something like that at my gym. How fun that you were inspired to compete! I love the pictures, and think it's great you got to meet and greet with the athletes! 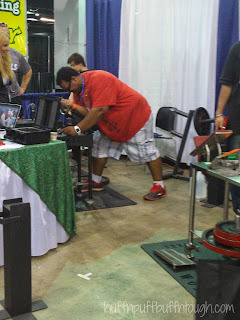 What an awesome event - I love that you were able to come in contact with so many vendors/companies/athletes. I need to see if they have anything like this in Charlotte! Looks like tons of fun and HARD work! 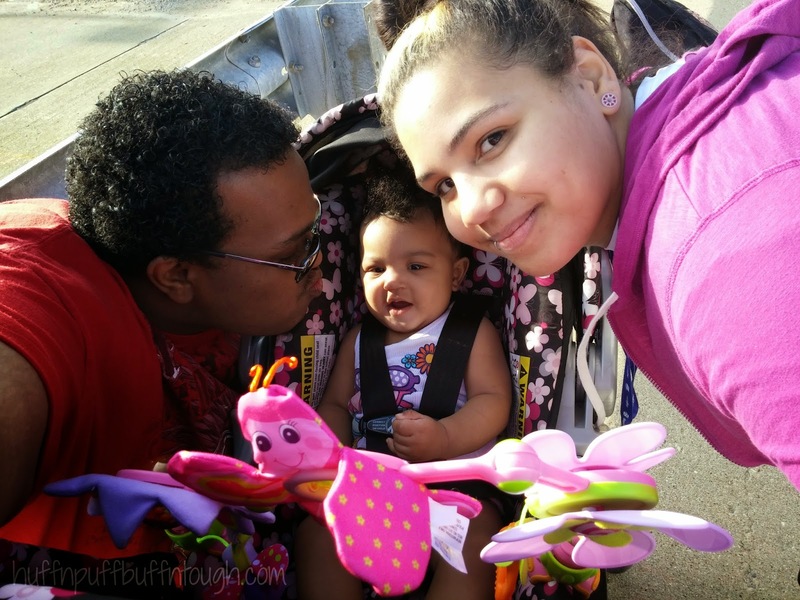 :-) Oh and your daughter is absolutely gorgeous!!! 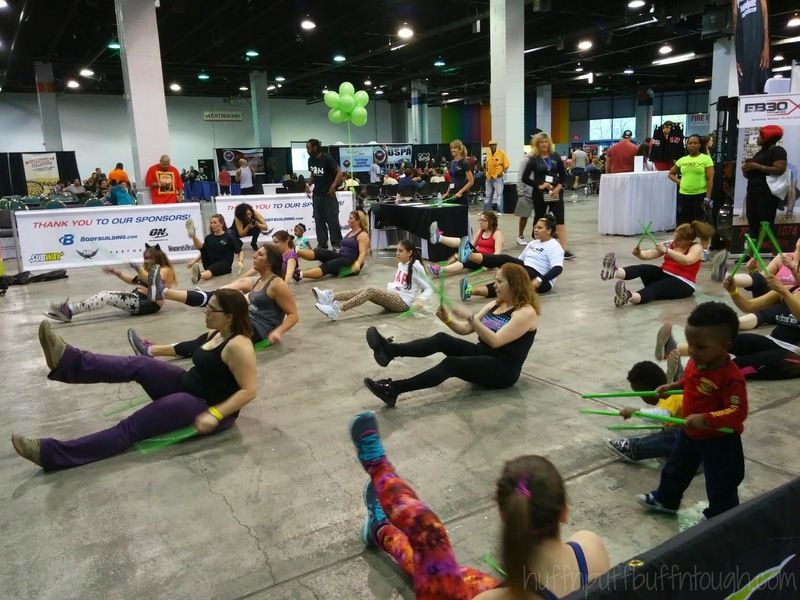 I've never been to a fitness expo before but this looks like a lot of fun, especially the pound class!